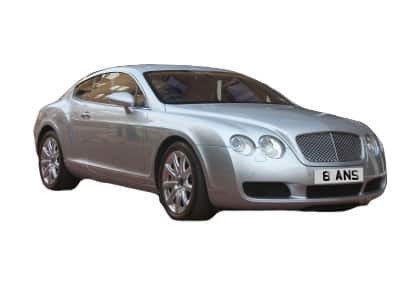 Explore millions of private plates for sale here at Platinum Plates. Our database of private plates is continually updated to deliver the latest choice of both private and cherished number plates currently available. Once you have found the ideal private plates for you or your loved one, you can buy online or secure your chosen private plate over the telephone. Personalised number plates can be transferred directly onto your vehicle, and here at Platinum Plates, we can handle the complete DVLA registration number process on your behalf. Plus, unlike most dealers, we do not charge for this service! As registered DVLA number plate suppliers you can even get the acrylic plates from us at the same time, saving yourself time and money. Alternatively, we can supply registration numbers on genuine DVLA certificates valid for up to 10 years, giving you the flexibility to register your new registration number later. Platinum Plates has been supplying personalised number plates since 1998. Private plates are an ideal way to personalise your vehicle. Personalised registrations are a great way to represent your name, nickname, initials, football team, company, and so much more on your car.. If you have any queries, do not hesitate to contact us by phone on 01746 783 500 or email sales@platinumplates.co.uk. The sales lines are open from 8am-10pm, Monday–Sunday.